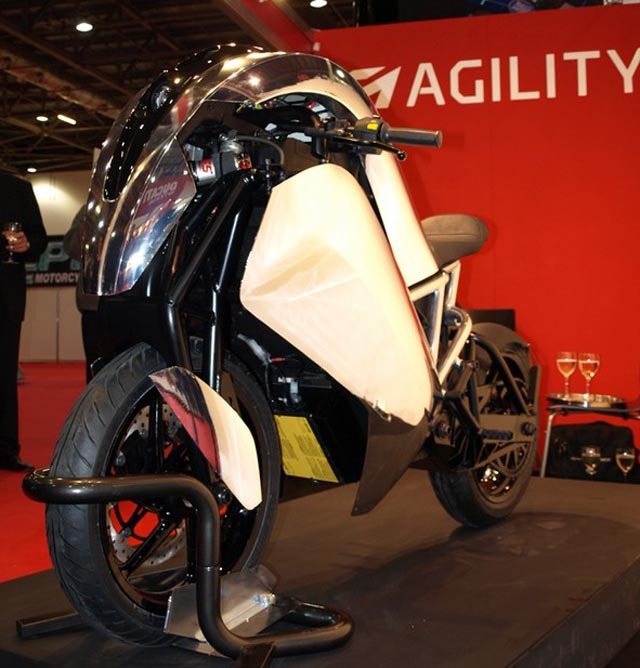 I went to the MCN bike show at Excel exhibition centre today and got to see the recently unveiled Agility Saietta Sports Bike. It’s definitely eye catching! I had heard about the bike last year and have been looking for a press release since. I’m really happy that the technology has been developed and obviously am very happy that there is going to be an emissions free bike available – there are other electric bikes available but this bike is promoted to do 0-60 in under 4 seconds and rumoured to have a power to weight ratio of 675hp per ton – it’s fast! I personally wouldn’t have previewed it in a mirrored silver finish as the design looks incredibly futuristic as it is and surely the aim is to get as many on the road as possible rather than keep it for the exclusive market!? The fact that it has been designed and built in London is one of its best selling points and we can’t wait to test ride it in May – watch this space for an update! Since the end of last year I have loved riding my motorbike. I have always had a passion for motorbikes but only ever ridden push bikes for the first 30 years of my life. Having an engine does make longer journeys easier while helping my conscience that I’m not driving a car! Let’s see how this bike actually performs and if the design changes. I understand that the first people to show an interest in ordering the bike will get the chance to feed back before the final design is produced. Good to hear an example of co-production in the motor industry!